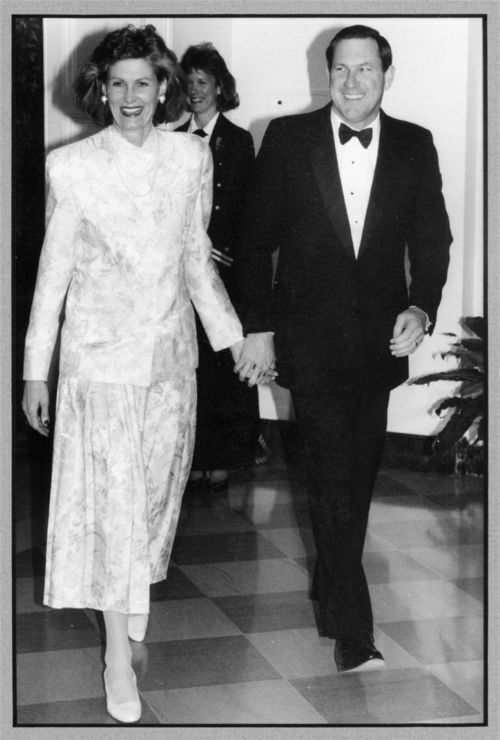 This photograph shows Kansas Governor Mike Hayden with wife Patti Hayden, at the White House for the National Governors' Conference dinner hosted by United States President Ronald Reagan. Born in Atwood, Kansas, Hayden entered politics after a decorated career in the military in 1962. Hayden held office as governor of Kansas from 1987 to 1991. Afterwards, he moved to Washington D. C. returning to Kansas in 2002, as the Secretary of Wildlife and Parks. John Michael (Mike) and Patti Hayden at the White House, Washington, D. C.